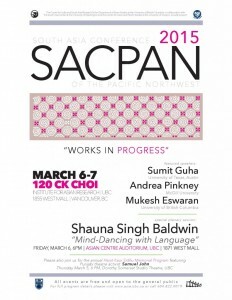 This year’s instalment of the long-running SACPAN conference is themed “Works in Progress” and involves presentations of current research on South Asia by scholars and graduate students at various institutions across the Pacific Northwest. 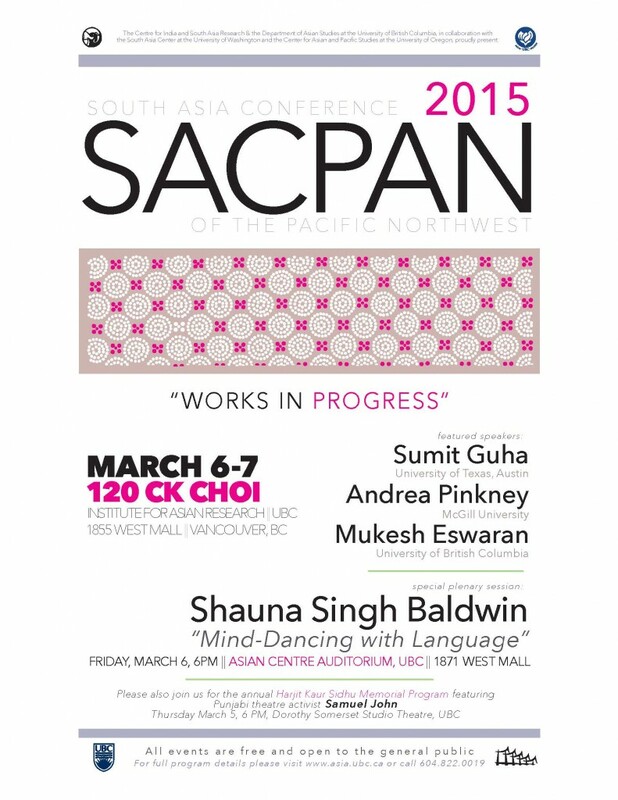 We are thrilled to announce that SACPAN 2015 will feature three longer lectures by leading scholars in the field—Sumit Guha(University of Texas, Austin), Andrea Pinkney(McGill University) and Mukesh Eswaran(UBC). 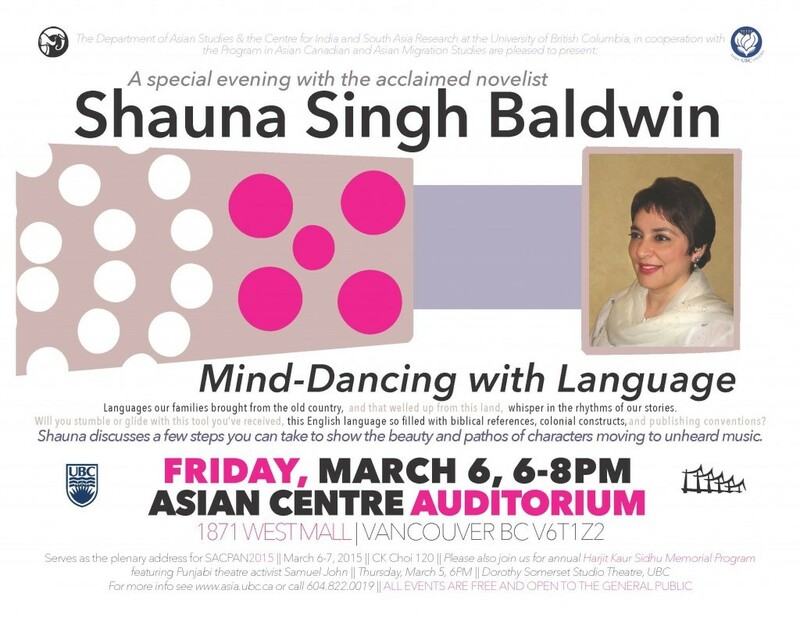 We are also thrilled to include a special evening plenary session with the acclaimed novelist Shauna Singh Baldwin, titled “Mind-Dancing with Language” (Friday, March 6, 6PM, Asian Centre Auditorium, 1871 West Mall). Please join us in Vancouver this March for what promises to be a fruitful and stimulating conference! All events are free and open to the general public. Please RSVP to Adheesh Sathaye (adheesh.sathaye@ubc.ca) if you plan to attend the Friday reception. Presented by the Centre for India and South Asia Research and Department of Asian Studies at the University of British Columbia, Vancouver, in collaboration with the South Asia Center at the University of Washington and the Center for Asian and Pacific Studies at the University of Oregon.